Now that you're in the process of getting started with Guru, you likely have content in Guru and have invited your team (or a subset of your team), here are 6 tips to help reinforce that Guru is the place your team should go for quick access to expert verified knowledge. Remember, changing user behavior may take time, so we want to provide you with helpful tips to guide your team to the knowledge they need in Guru. Let your team know that anyone on your team can use Guru's Q&A feature to ask an expert a question. This way they know that even if they don't find what they need in Guru, they can request a card be created. Learn how to do Q&A. Whenever you create/update a card in Guru that you want the team to know about, try using a comment to tell them. You will notice the Comment button on the Card itself, if you click that you can create a new comment and include "@team" (you can @-mention the whole team or individual people) to let the team know. When you post the comment, they will get an email from Guru with your comment and a link to the Card. Again this helps to reinforce that there is useful knowledge in Guru. How to comment in Guru. Guru sends a Team Insights email out to everyone on your team to highlight popular Cards, or Cards that the receiving user has not yet seen. Team admins also receive an additional section in the email showcasing what the team is searching for. You will see both the search terms getting used most often, as well as search terms that are not producing any results. Check your inbox for emails from Guru with the subject line "Team Insights" and look for this section in the email. 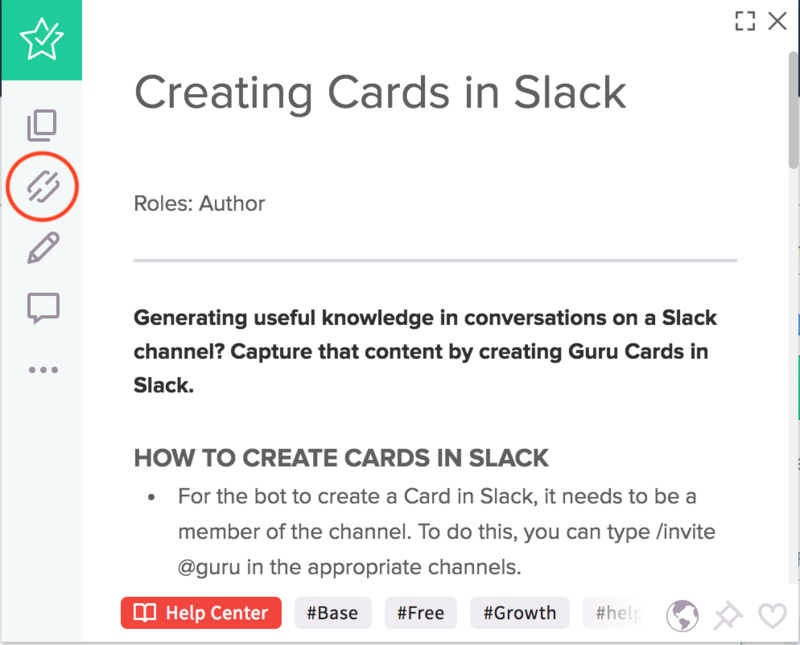 Gather up terms that make sense to your team, and create cards that address those topics. Then follow up with your team letting them know that these new Cards were based on popular searches done by your team. Use comments as mentioned in number 2 above to easily send the new Cards out. Your team is likely using some combination of email, messaging, or in-person questions to get help. More and more of what they ask for will be in Guru. When this happens, the best way to "teach them to fish" is to answer them using a Guru card, and then send them a link to it. You can get a link to any Guru card by just opening it and clicking the blue plus button -> Share. This combined with a polite "this is in Guru" will help reinforce that they should be checking Guru before asking experts. 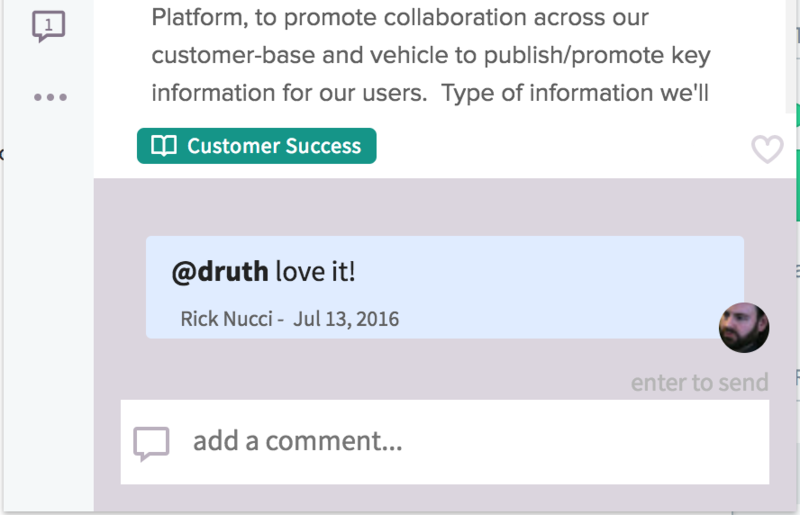 A great example of this is to enable Salesforce Context in Guru. We can help you directly link your Guru knowledge to specific fields in a Salesforce Opportunity (or any Salesforce record) so that depending on the sales scenario, the rep will always have all the relevant knowledge you have at their disposal. As shown in the screenshot below, the Guru icon will show that content is being suggested. This is a helpful way to help develop the new habit of checking in Guru without having to change any behavior. Another option is turn on Google Apps search, so that whenever a user on your team searches for an old email or searches for a Google Doc, the search will also happen in Guru. 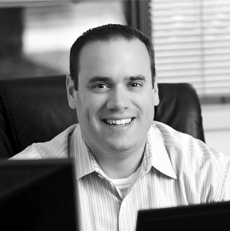 Reach out to us so we can take you through the process of enabling Context. Finally, its important to remember that your users are more likely to read concise content. And just as important, your experts are more likely to verify content that is concise as well. With that in mind, we have found that users do best with content that is under 1000 words (~2 pages in a document) which equates to about 1 minute for a user to consume. If you have any questions or would like additional information please reach out to us and we can assist you (Click your avatar (the settings menu) and select 'Contact Us').